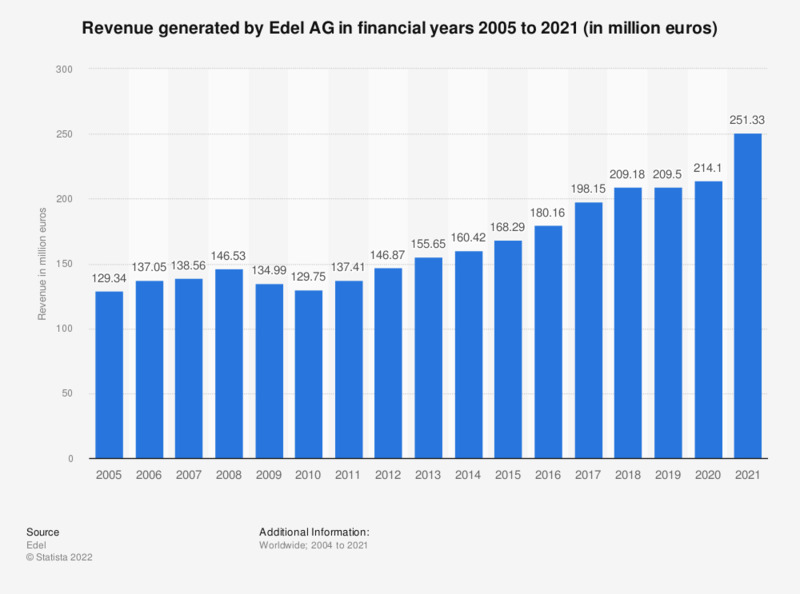 This graph depicts the revenue generated by Edel AG in financial years 2005 to 2018. In 2018, Edel AG generated revenue of 209.18 million euros, up from 198.15 million in the previous year. Figures for financial years 2005 to 2015 come from Edel AG's earlier releases.